Launched by Bike-it, the BikeTek brand epitomises the Bike-It ethos of providing exciting and diverse range of motorcycle accessories to riders. Bike-It’s continued involvement in all levels of motorbike racing ensures rigorous product testing & development ensuring their products are extremely high quality, yet remaining affordable. Keep track of your pace and keep on track for longer with the BikeTek Motorcycle Circuit Lap Timer. Get to GhostBikes today for all the latest bike accessories!!! GhostBikes now stock a full range of Biketek Motorcycle Accessories Please click here to see what's currently available. Lap timer with wireless I.R transmitter. A simple and reliable lap-timing unit for all race and practice purposes. 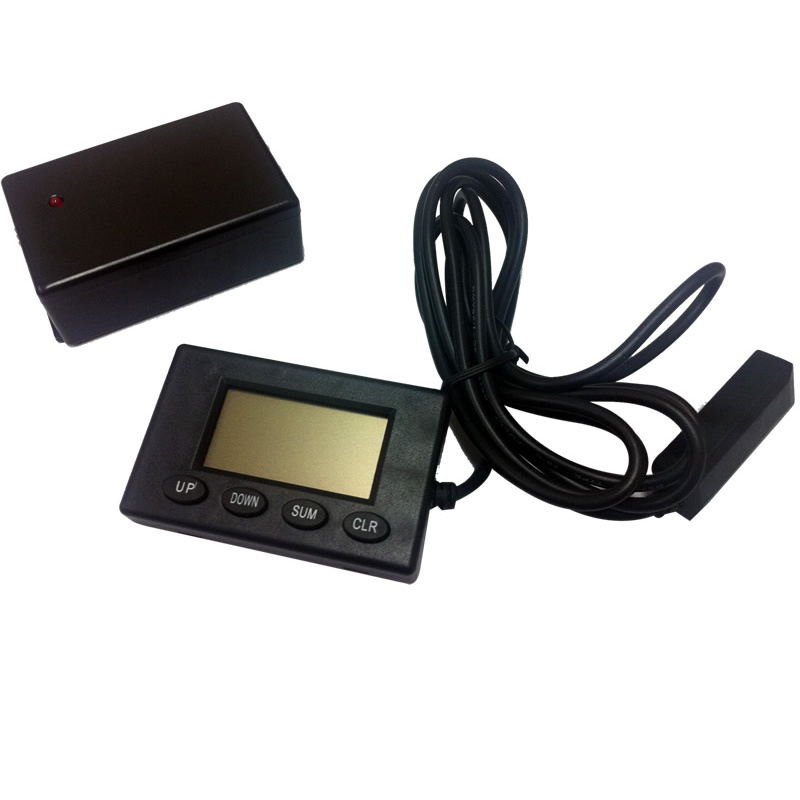 Compact and lightweight design, the LCD-display receiver mounted to road and off road motorcycles, karts, cars and cycles. Pit wall transmitter unit, powered by two AA batteries (not included). Memory capacity of 64 laps 99 minutes. 65x40x11mm receiver unit with wired IR-eye. Viewable data; individual lap timings : slowest lap : fastest lap : total time : average lap time. The receiver should be mounted to the vehicle in an appropriate position which does not interfere with the vehicle functioning. When the receiver passes by the IR transmitter the lap number should be displayed and time is recorded building up data by laps splits. If multiple BikeTek Lap Timers are in use in the same session then just one transmitter should be used. The BikeTek Sports Track Lap Timer is currently available in the colours shown in the product variation above, if there is no variation option, it will be available in the colours as shown in the pictures above.